Inside of two weeks until the 2018 Breeders’ Cup at Churchill Downs, you can start planning your Nov. 2 and Nov. 3 afternoons. Post times are set and the race order determined for the championships, according to the Breeders' Cup and Churchill Downs websites. The biggest change this year is the move to a “Future Stars Friday” that consists of all the 2-year-old races, including the new Juvenile Turf Sprint. That moves the Breeders’ Cup Distaff and Dirt Mile to Saturday, when 3-year-olds and up will feature. 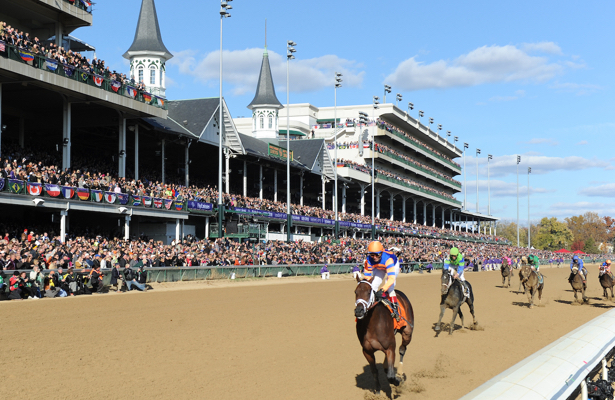 Pre-entries for all 14 Breeders’ Cup races will be revealed Wednesday. Final race order and times are subject to change then. For now, click each race below to see prospective fields. All times are Eastern. • 10 races total; first post time 12:55 p.m.
• 12 races total; first post time 10:45 a.m.